Exposed! : The Horrible State of The Nigeria Police College in Lagos Recently, Channels Television did a report on the terrible state of the Nigeria Police College, Ikeja, Lagos. The college was initially built to accommodate 700 students, but by the time the TV station focused on it, 2,554 of them converged on the campus like soldier ants. Here's a video you must see. [PM NEWS] — Recently, Channels Television did a report on the terrible state of the Nigeria Police College, Ikeja, Lagos. The institution is among the other colleges in different parts of the federation: Kaduna Police College, Kano Police Academy, Maiduguri Police College, Oji Police College, Police ICT College, Abeokuta and the Police Detective College, Enugu. 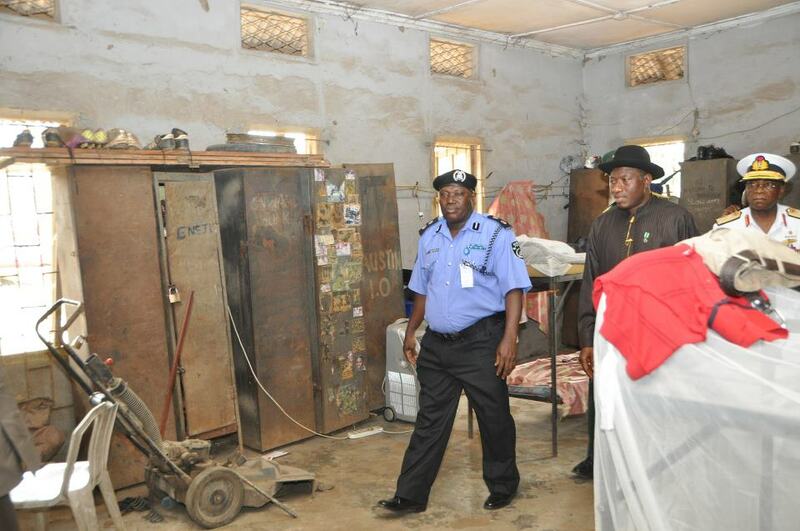 There are two mobile police colleges in Gwoza, Borno State and Ila-Orangun, Osun State. The Police College, Ikeja, was initially built to accommodate 700 students, but by the time the TV station focused on it, 2,554 of them converged on the campus like soldier ants. Here is where, like their other training centres, cops are expected to train for 13 months. The condition there is deplorable, for want of a worse adjective. The windows and doors of the male dormitory 10, which was built in 1940 by the colonial authorities, are damaged and there does not seem to be any move to fix them. Apart from the fact that there is no electricity, students there are bitten by bed bugs so much that their blood stains are on the walls! Since the dormitories have no good toilets, the trainee cops were recorded on video urinating at the back of the building where open sewers send out strong stench. Even at night, they send projectiles of their excrement against the walls. The female hostels are not better either. The food that the students eat is fit for pigs, not even prisoners. A canoe can navigate in the stew that our future policemen eat daily! Worse still, over 10 of them share the head of a fish. If it were the head of a whale or shark, it would have been a different matter. The college, in the past, also boasted of an Olympic-size swimming. Unfortunately, it has become habitat for snakes and frogs. The shooting range where medals were won has also become decrepit. The library where trainees ought to learn the theories of their operations, according to the staff, has become home of archaic material and cobwebs. It was in 1970 that new books were procured last. Watch the revealing Channels Television report below.